We have routines in our house. Little LK wakes up around 6am to eat, then she plays in her bouncy chair. Just before 7, like clock work, M wakes up. 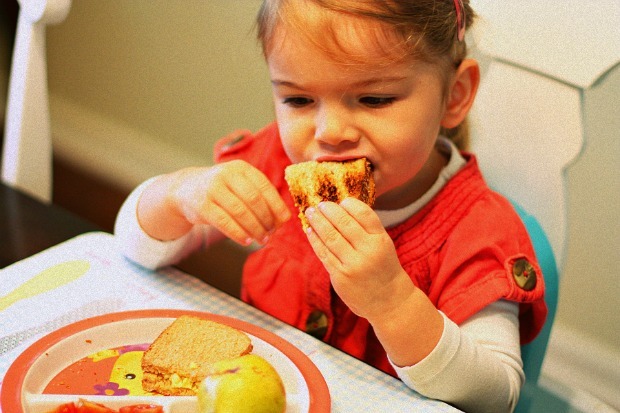 She brushes her teeth, gets dressed for school, asks for some water or juice, then she anxiously waits for her breakfast. This particular morning she asked for an egg sandwich with cheese, and then said “Mommy it’s my favorite”. Spray a small pan with non-stick cooking spray and bring to medium heat. 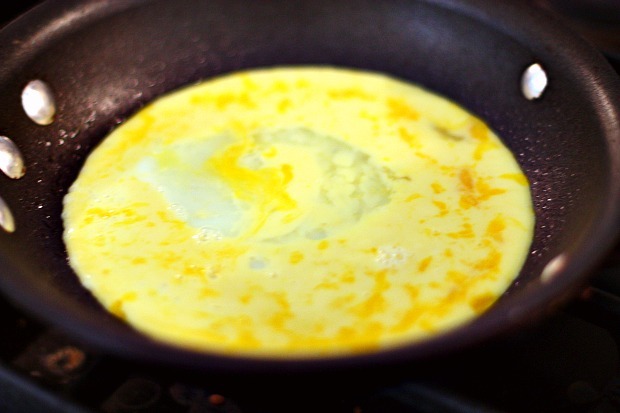 In a separate bowl, whisk one egg with 1 tablespoon milk. 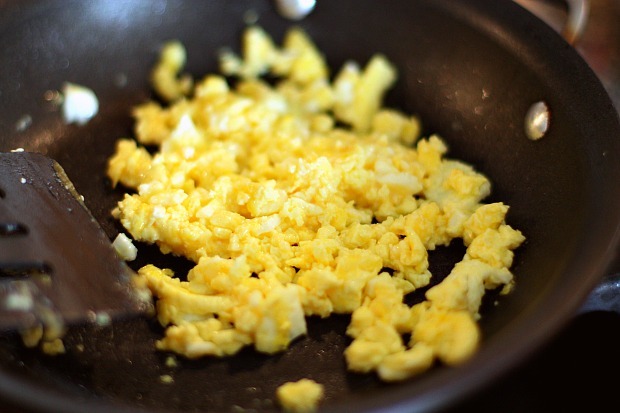 Pour the egg in the fry pan and cook until it’s about halfway scrambled. 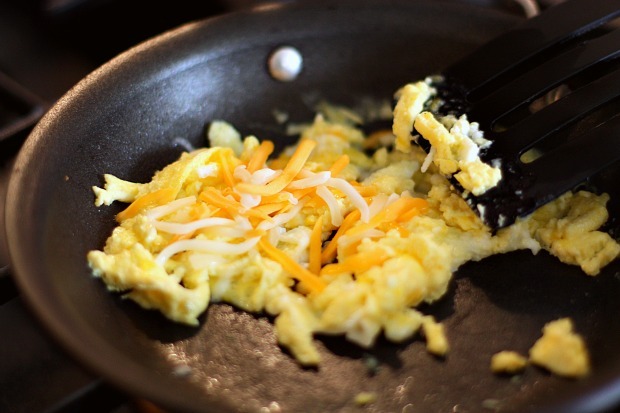 Too the egg, add one tablespoon of shredded cheese and and scrambled in the pan until it’s cooked. 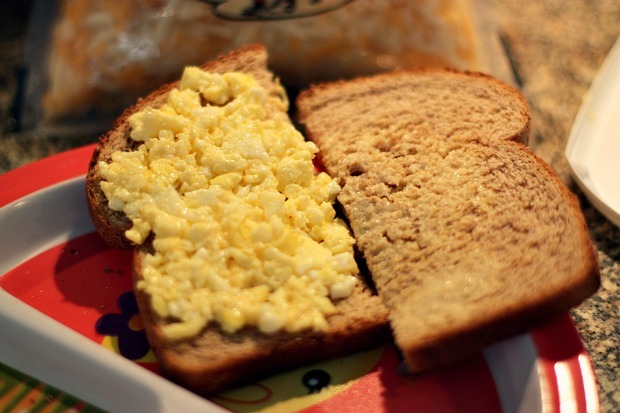 Place cheesy eggs on a lightly toasted slice of whole-wheat bread. 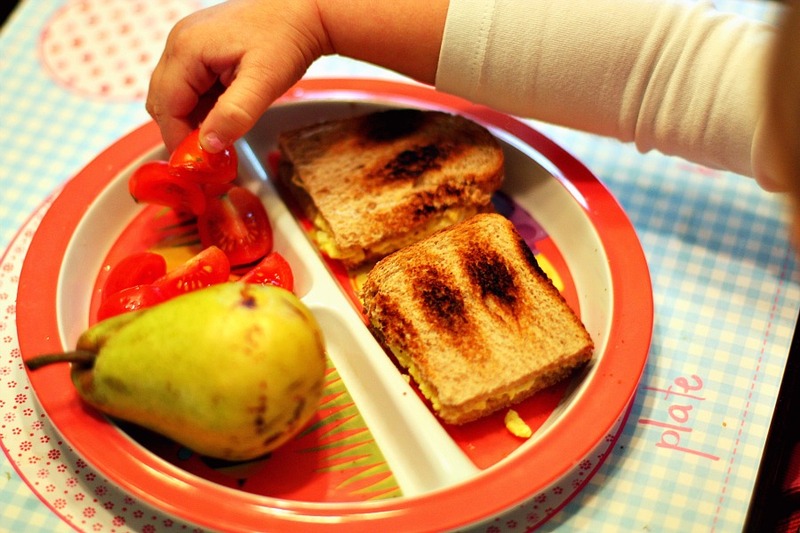 You just made me realize that I totally have time to make my kid his favorite egg sammich on weekday mornings before school (instead of cereal). But I haven’t. Will fix that asap! Meghan used to love cheesy eggs, but lately won’t touch them. Isn’t it weird how kids’ tastes change like that? I hope she’ll start liking them again! 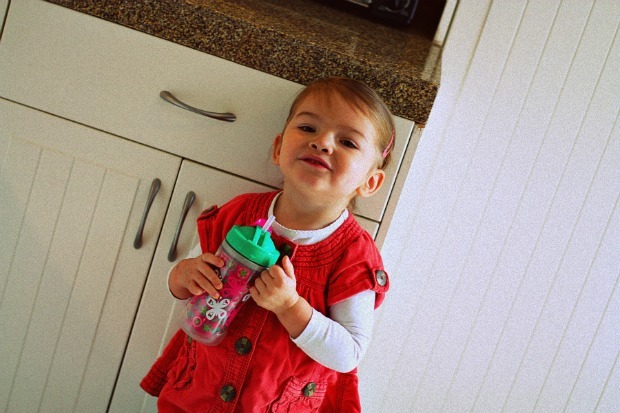 Love the pics of M–she’s such a cutie. She’s so adorable and thanks for a fun little meal idea! Who doesn’t love an egg and cheese sandwich? YUM!